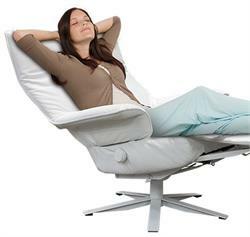 Thank God I found Lafer recliners. 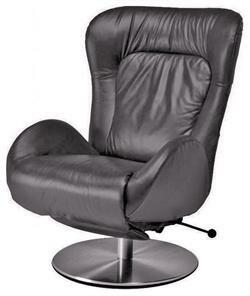 I hate those bulky ones. 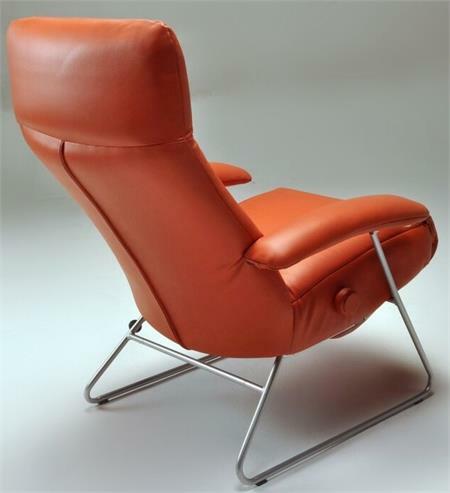 This one goes with my modern furniture in my new house and it is so handsome in the saddle and chestnut colors. 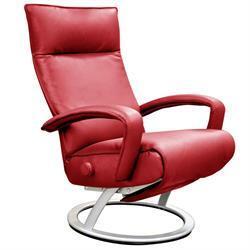 Ergonomic Recliner Chair Demi by Lafer Recliners is a Reclining Chair with Tubular, Silver Color Fixed Base - White Base can be special ordered. 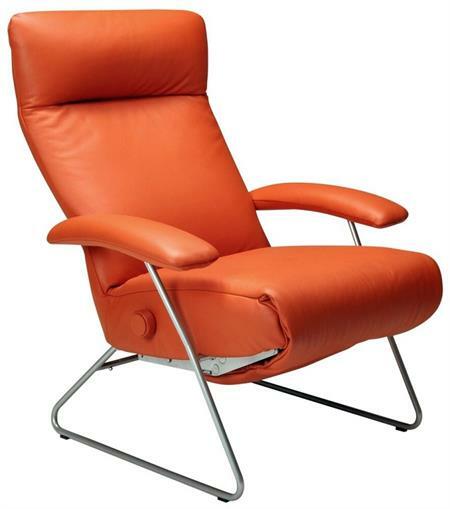 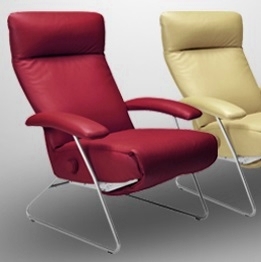 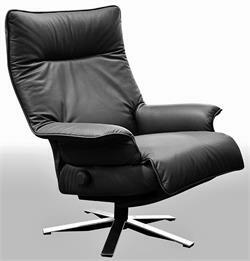 Modern Leather Demi Recliner Chairs by Lafer Reclining Chairs of Brazil. Similar to Adele Recliner but at a lower price point. If you prefer a swivel base recliner, see the other ergonomic Lafer Recliner styles. Ergonomic Recliner Chair Demi Recliner Dimensions: 41" H x 30"w; 18.5 seat height; depth upright 31.5", depth reclined 66.5"
Ergonomic Demi Recliner by Lafer of Brazil is a fully adjustable modern ergonomic recliner chair with patented retractable footrest system offering support for the whole body while remaining totally invisible when closed. No need for footstools. 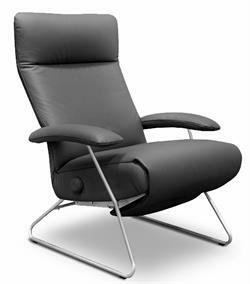 Demi Recliner Chair seat can be positioned at 90 degrees for work or reading and all the way down to 170 degrees for relaxation and sleeping. 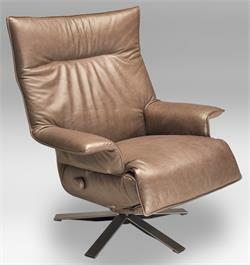 Sophisticated leather padded armrests are supported by a modern styled frame for that modern home or office setting. 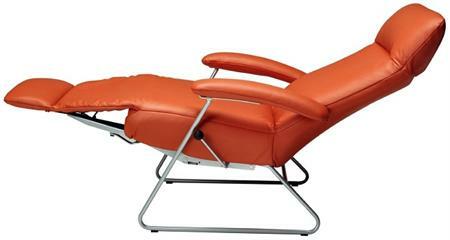 This modern fixed base lounge chair is perfect for home or office with it's ergonomic recliner chair design and unique reclining chair styling. 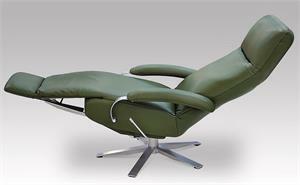 Headrest adjusts forward and backward for the ultimate in neck and upper back comfort. 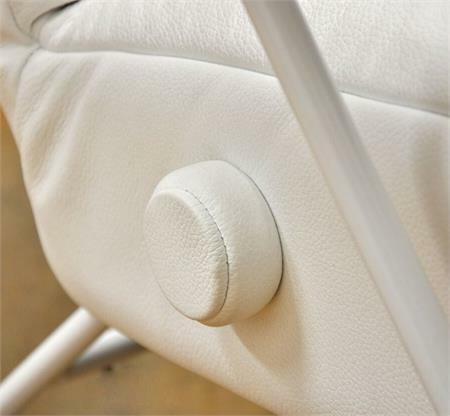 Beautiful leather detailing. 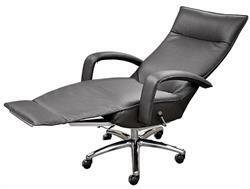 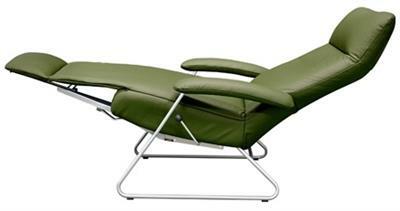 Lafer Recliner chair seat provide excellent back and spine support. Lafer Recliner Chair cleaning: Use a damp cloth with mild soap and water. 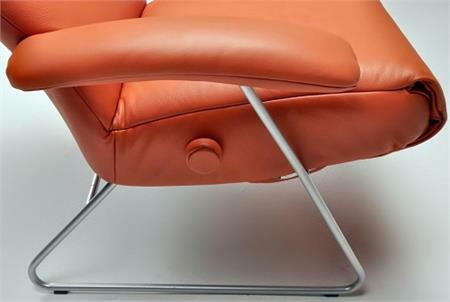 Rub the skin gently in the direction of the fibers of leather. 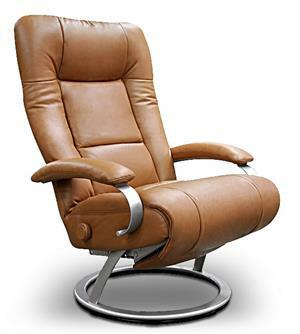 Never use chemicals or solvents, they can corrode and damage the leather recliner chair.